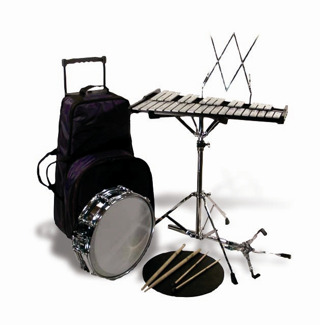 Percussion kits can contain a variety of equipment, depending on the planned curriculum and needs of the band. A typical kit includes a 2-octave aluminum bell set, a tunable drum practice pad or shallow drum, a stand, snare sticks, and bell mallets — all fit compactly into a luggage-style rolling bag or a padded bag with a sturdy strap. Most percussionists begin playing on a rented percussion kit selected by the band director according to the instrumentation needed in the band. Percussionist sometimes decide they' d rather play another instrument instead; renting allows changing instruments at minimal expense. The rental kit takes the initial wear-and-tear of learning to handle and care for the instruments. The maintenance & replacement plan keeps the percussion kit playing properly and replaces it if it's lost or stolen. 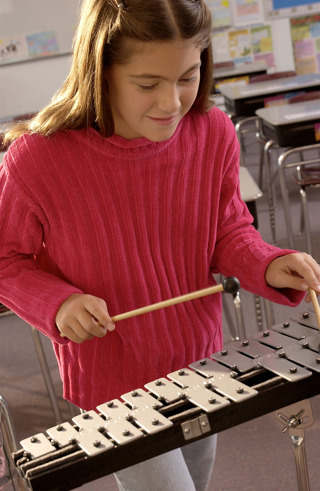 Renting allows time to see how serious the student will be and to determine which percussion instruments interest him or her most. The a portion of the rent applies to the purchase of the kit or other instrument the student might choose to play. 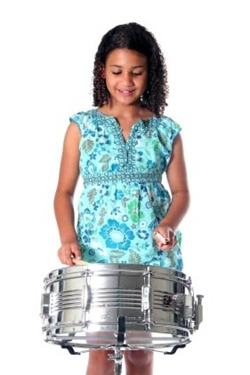 Renting a percussion kit is simple and inexpensive, with rent as little as $21 per month. You many continue renting for as long as you like or return the kit to Amro at your convenience. The music book and accessories your band director has selected. A Maintenance & Replacement plan that covers your instrument if it's damaged, lost, or stolen. Service at your school. Amro's representative comes to your school regularly to see that all instruments are working correctly. Priority repairs and adjustments by the Amro professional repair technicians. A kit that is checked and adjusted by professional technicians and is guaranteed appropriate to learn on. There's a reason more people rent from Amro than all the other Mid-South music stores combined. Do you still have questions about renting an instrument? Here are some FAQs about renting. Or give us a call at (901) 323-8888 or email us here.